The hunt for treats is over. 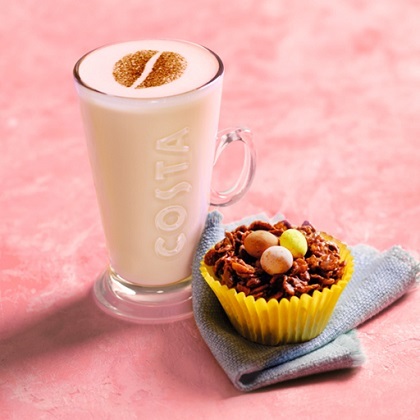 Your Easter treat has arrived at your Costa Coffee shop in the form of a new limited-edition White Hot Chocolate and a delicious crunchy Cornflake Nest. Order the White Hot Chocolate with any milk alternative of your choice, sit back, enjoy your cornflakes and watch the world go by.